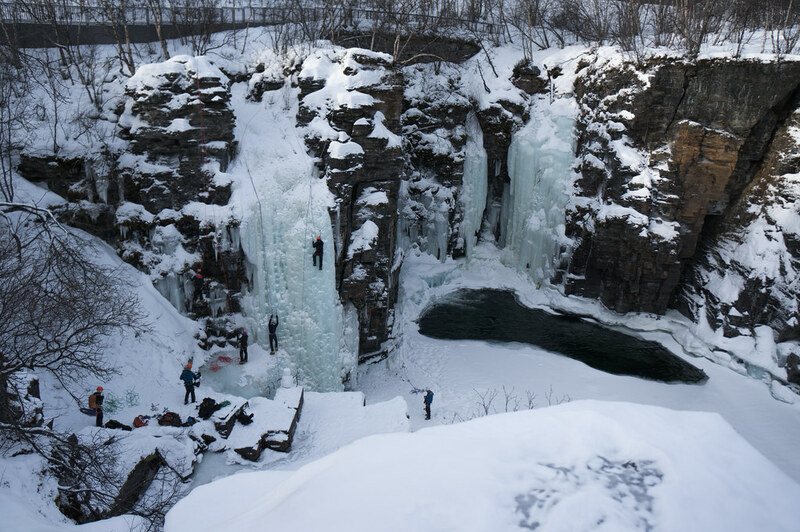 In three weeks the second Abisko Ice Climbing Festival kicks off, and it’s set to be pretty amazing again. In case you’re still on the edge about going - I will give you plenty of good reasons to travel to the northern most Ice Climbing Festival! Last year’s AICF was fantastic and I learned a lot. It’s not every day that you can pick the brains of Alpinists like Robert Jasper and the guys from Petzl, so as the 2nd AICF was announced, with a pretty fantastic line-up of instructors and clinics, it was an easy decision to travel north to Abisko this year again. 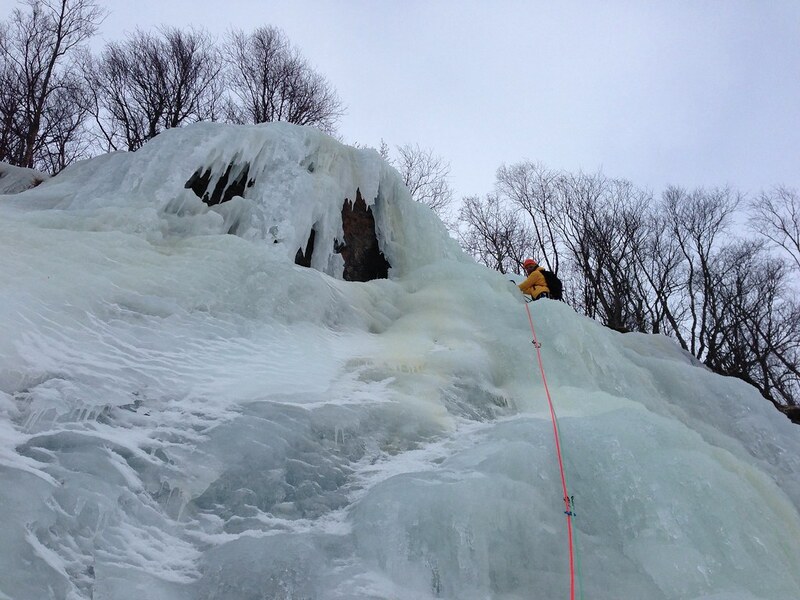 Like last year, the AICF is something for everyone: From the complete novice who has never climbed ice to advanced climbers, who want to hone their skills. You can loan all the ice climbing gear, and will be very well instructed on its use and technique. Accommodation is in the very nice STF Turiststation Abisko, and if you travel with the family: There’s plenty to do there for kids and partners, from sledging and snowshoe walks to skiing and watching Aurora Borealis. For the climbing, this year’s clinics include Traditional Scottish mix lead, Efficient multi pitch, Basic Ice/Mix as well as Efficient and safe belay and Ice strength/ belay/ rappel/ abalakov. There’s going to be a competition, the relaxed After Climb sessions, and which is surely going to be spectacular, the “Petzl night with Said Belhaj”. Said had just a big feature in the current Rock & Ice 216 (great read, go get the Magazin! ), and I met him briefly last year at the Outdoor so am very much looking forward to climbing with him. But there’s more, Stefan Lindblom and Krister Jonsson as well as UIAGM Mountain Guide & Organizer Anders Bergwall are again along to teach you about proper crampon & tool techniques, and show you how multi-pitch climbing is done well. And they’ll let you pick their brains from years of climbing on ice and mixed and other outdoor shenanigans! As you see, there’s really plenty for everyone, and the four days surely will fly by way too fast. You can read all the details on the Arctic Guides website, and then it’s time to book your festival pass and plan the trip north! 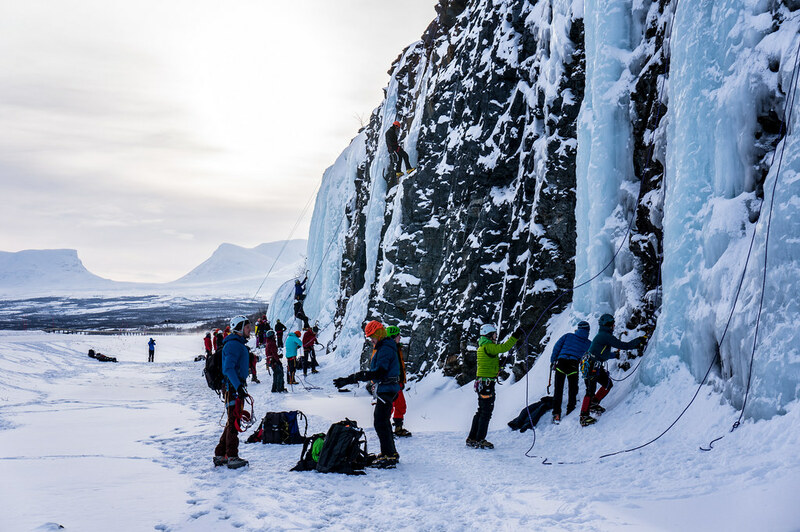 You can also follow on Facebook and keep an eye on the new Abisko Ice Climbing website which will launch soon. See you in Absiko! If you’re coming from Finland, we still have one seat free in the car from Vaasa (via a night in Rovaniemi on the way up), if you want to drive with us - be in touch!